Are you tired of coming home to clean after a long, busy day? Kulas Maids is the cleaning service in Park Ridge, Illinois 60068, that you are looking for! There are many other cleaning services in Park Ridge, but none maintain the superior customer appreciation Kulas Maids does. Call to make an appointment today! 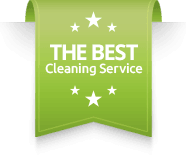 Kulas Maids offers you a free estimate to help you decide that our house cleaning service in Park Ridge is the best in area. Serving the Chicago North Shore Suburbs since 1983, we are proud to say that we appreciate that our customers choose Kulas Maids Inc. Because customer satisfaction is our primary goal, we guarantee that you will be very happy with our house cleaning service in Park Ridge. With Kulas Maids, you are getting a professional group of 4 maids to make your home sparkle. Kulas Maids proudly offers experienced maids, work efficiency, and green cleaning supplies and equipment. These are the reasons why Kulas Maids is the number one maid service in Park Ridge, Illinois.